This week I wanted to tell you about my second dining experience with Dinner Lab. 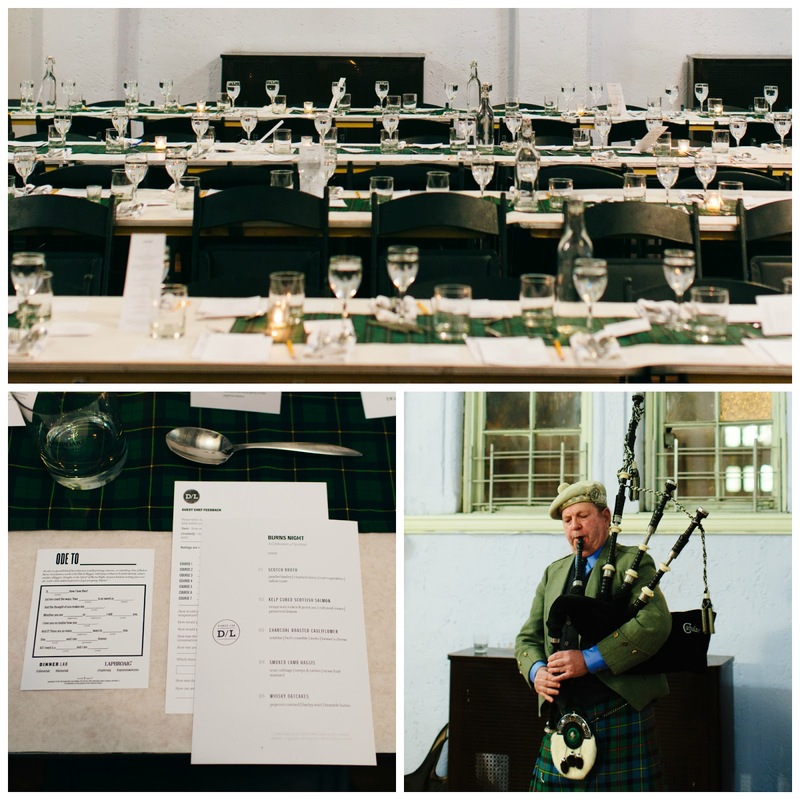 The theme of this supper club was BURNS NIGHT! Since 1801, Burns Night has been celebrated in Scotland and across the world to commemorate the life and poetry of Robert Burns on or around January 25. Dinner Lab partnered with Chef Patrick McCandles and Laphroaig®, a Scottish whisky, to pay homage to the poet with a truly memorable dining experience. 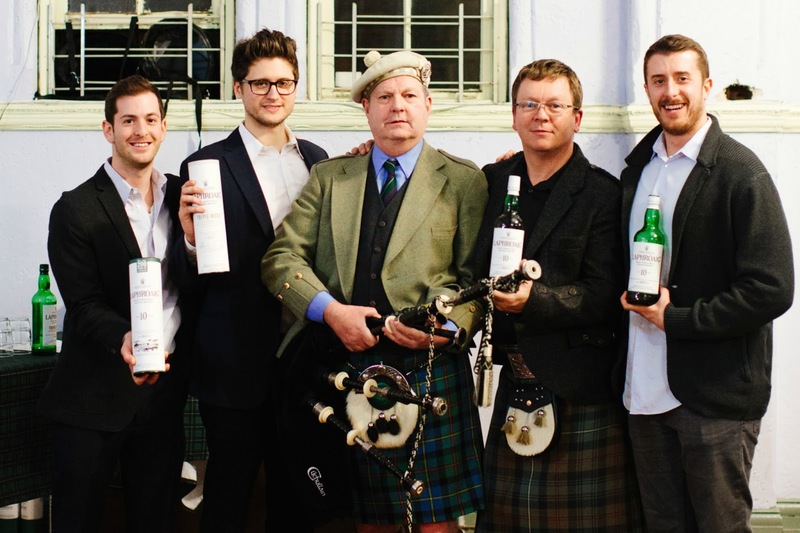 Guests enjoyed a modern take on Burns Night and lots of scotch and singing. Sláinte! 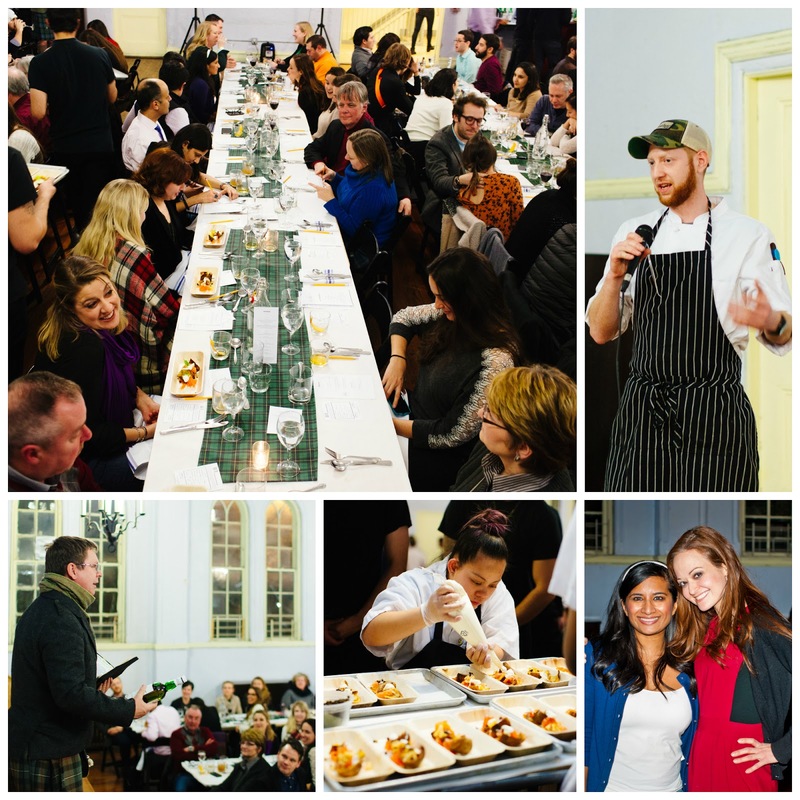 Chef Patrick McCandles created an amazing five-course meal that was inspired by Burns Night at St. Luke’s Parish House in Brooklyn. Some guests even got into the spirt of the tradition by sporting kilts or plaid shirts. This was my second time stepping into Padma Lakshmi’s shoes and analyzing and critiquing each course of a dinner. The courses were not only plated beautifully but also tasted delicious. The star of the menu was a Scottish dish called Haggis. Haggis is traditionally a savory pudding containing sheep’s heart, liver and lungs; minced with onion, oatmeal, suet, spices, and salt, mixed with stock in an artificial casing. Chef McCandles prepared a modern Lamb Haggis, which was rich and flavorful with both sweet and sour notes from the sour cabbage and stone fruit mustard. My favorite dishes were the Scotch Broth and Whiskey Oatcakes. The Scotch Broth was refreshing, flavorful and even a little crunchy! The Whiskey Oatcakes were the perfect combination of salty and sweet deliciousness. 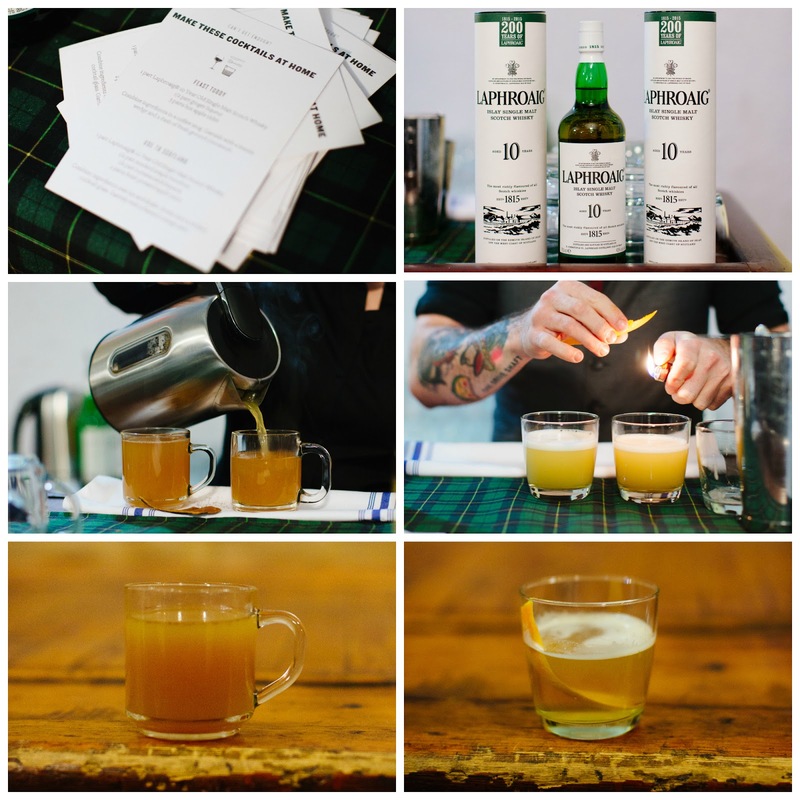 I am not a scotch drinker but I loved the comforting flavors of the Hot Toddy. 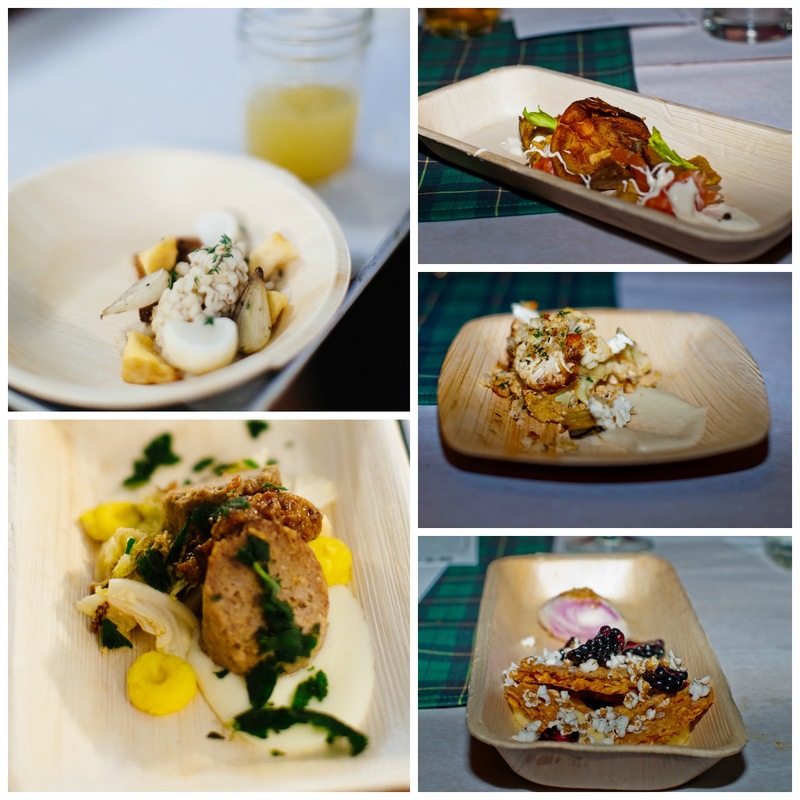 The Dinner Lab event was a lot of fun. I felt transported into a part of Scotland with the bag pipes playing in the background and traditional songs sung by the Laphroaig® team. Dinner Lab is a members only pop-up style restaurant that creates one of a kind dining experiences in nontraditional locations, such as factories, abandoned piers, warehouses. At the end of the meal, they ask diners to rate each course and provide feedback to improve their experience. Check out Dinner Lab if you are interested in a truly unique dining experience! Get The Hellisoy Out Of Here! Next Post Ready Set Toga!